Iron Ore Pellets are formed from beneficiated or run of mine iron fines. 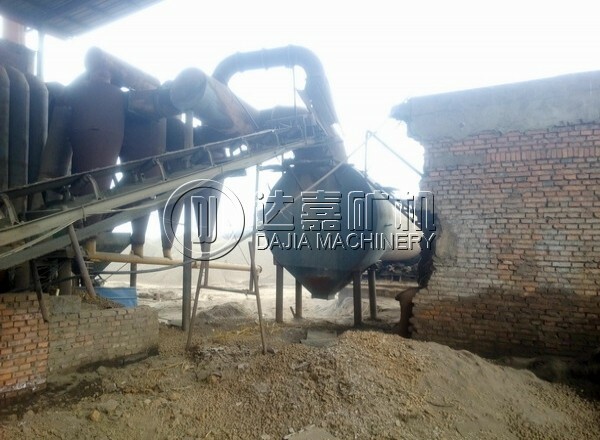 The iron is usually ground to a very fine level and mixed with limestone or dolomite as a fluxing agent and bentonite or organic binders as a binding agent. If the ore is a Hematite ore, coke or anthracite coal can be added to the mix to work as an internal fuel to help fire the pellets. This mixture is blended together in a mixer and fed to balling discs or drums to produce green pellets of size typically about 9-16mm. The green pellets are then fed to the induration machine. Both straight grates and grate kilns dry the pellets out in a drying section, then bring the pellets up to a temperature of about 800-900 °C in a preheat zone, then finish the induration process at roughly 1200-1350 °C. The pellets are then cooled to a suitable temperature for transporting to a load out facility. Both processes recycle the heat from the pellet back through the process to aid in energy efficiency and decrease fuel usage. Both processes can be used to generate almost any type of desired pellet chemistry, from direct reduction pellets (DR pellets) to blast furnace pellets. By adjusting the amount of fluxing agent or limestone added, pellets can be made that are anywhere from acid (or non-fluxed) pellets to heavily fluxed pellets.